A wordless environmental fairy tale for today’s imperfect world Children are the future, but will they take better care of our planet than we have? Can they repair the damage before it’s too late? 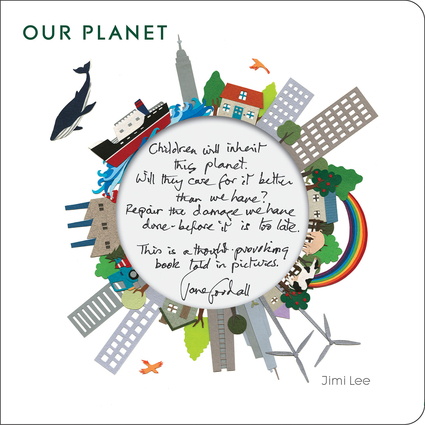 Author Jimi Lee believes change is possible. Her powerful images show that when we work together with nature, everything is in harmony. This unusual, thought-provoking—and wordless—tale observes without passing judgment. The delicate, expressive illustrations and inventive die-cut silently convey information while captivating readers of all ages. Jimi Lee is a graphic designer and the author and illustrator of the children’s book Lines Everywhere.